The Global Wellness Summit (GWS) has released its eight trends to look out for in 2017 in spa and wellness, identifying saunas, architecture, art, beauty, mental wellness, wellness for cancer, inequality and – whisper it – silence as influential themes in 2017. This year’s report stretches to 50 pages and marks the 14th edition of the company’s annual trends forecast, presented by Susie Ellis, GWS chair & CEO. The report brings together the thoughts of 500+ wellness experts from 46 nations. 1. ‘Sauna Reinvented’: A different approach to saunas will be undertaken in 2017, according to GWS. From ‘Sauna Aufguss’ events – where ‘sauna-meisters’ conduct theatrical performances and perform songs and dances – to social ‘amphitheatre’ or ‘hangout’ saunas (think Helsinki’s new high-design Löyly sauna complex or Scotland’s new loch-side ‘Hot Box’, which has a DJ and a bar), things are going to heat up differently. Pop-up saunas – floating on lakes or hanging from bridges – and urban “sweat lodges” – serving up infrared sauna treatments – are also earmarked as trends to watch out for. 3. ‘Silence’: Wellness destinations will be embracing a dramatic approach to ‘turning off’ the noise in a world in which we are always connected and always communicating. For example, the first completely ‘silent spa’ (with church-inspired architecture) has just opened at Austria’s Therme Laa Hotel. Equally, ‘wellness monasteries’ are on the rise. Retreats where the silent, contemplative values of ancient sacred spaces will be more visible – such as Italy’s Eremito, which has no WiFi or phone signal and silent, candlelit dinners. Properties like Germany’s Brenner’s Park have even installed “digital kill switches” for totally silent rooms. Silent restaurants, salons, gyms, stores and airports are all on the rise as well, as the need to enjoy the silence is coming into focus. 4. 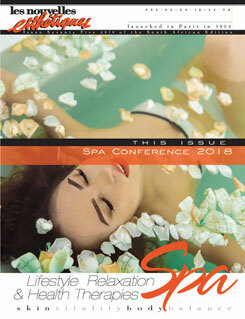 ‘Art & Creativity Take Center Stage’: The creativity-wellness-spa connection is making a comeback, with more art, music, literature and dance at the centre of wellness experiences in an experiential and practical sense. German spa resort Schloss Elmau, for instance, encourages musicians and writers “play-to-stay” (providing 200+ concerts a year). 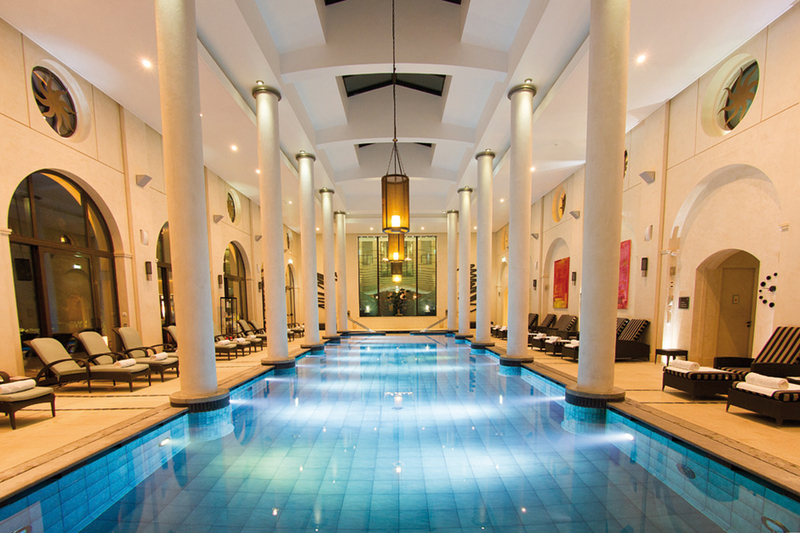 The UK’s new Gainsborough Bath Spa Hotel has live classical violin accompaniment for guests taking the waters. Other noted likelihoods are painting classes under the stars, yoga concerts and sound baths, as if to reclaim the noise. 5. ‘Wellness Remakes Beauty’: The US$1tr (€939.1bn; £790.5bn) beauty industry, the mammoth sector within the US$3.7tr (€3.5tr; £2.9tr) wellness economy, will change to meet the needs of a wellness-oriented population that is “obsessed with authenticity and ‘inner beauty,’” the GWS said. Edible and drinkable beauty boosters and ‘clean’ organic cosmetics will continue to rise and medical evidence for a new ‘neuroaesthetics’ (the theory of the brain being wired to respond to beauty) consciousness will keep gaining on superficial models. Prevention, rather than cure, will also be big in 2017, with products that use wellness as an ethos to begin with – as opposed to those that treat or cover up problems – marching forward. 6. ‘The Future Is Mental Wellness’: “Depression and anxiety are skyrocketing” and, according to the World Health Organisation, by 2030, the former will be the number one global health issue – outranking even obesity. Because of this, the GWS said more ‘healthy mind’ approaches to wellness will upturn in the coming years. Wellness retreats and spas are adding neuroscientists and psychotherapists (such as in London’s ESPA Life at Corinthia Hotel), for example. Meditation is now mainstream and is spawning creative new offshoots (think dream and floating meditation). New part-mind, part-body workout brands and apps that track one’s mental state will also continue to grow. 7. ‘Embracing the C-Word’: “The wellness world is waking up to the needs of a surprisingly underserved population: cancer patients,” Ellis said. 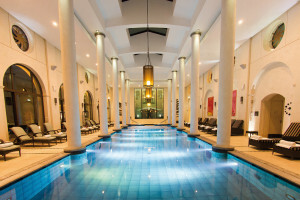 One need look no further than Julie Bach’s pioneering ‘Wellness for Cancer’ programme and wellness companies and spas are now trained to deliver comfort and dignity to those dealing with cancer. 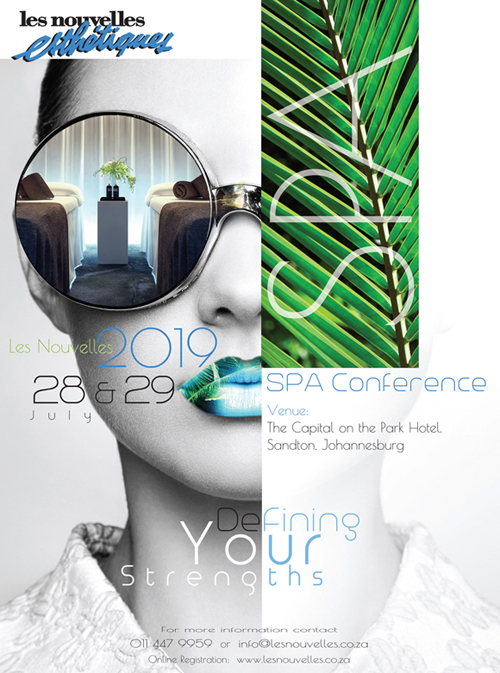 ESPA’s ‘Nurture and Support’ programme and Natura Bissé’s ‘oncological aesthetics,’ as well as Two Bunch Palms’s ‘Mindful Touch Massage,’ are all good examples of new wellness mechanisms for cancer patients. 8. ‘Beyond the Ghettos of Wellness’: The wellness industry has become rather narrowly associated with rich elites, but that is starting to change. More wellness businesses will give back to the 99 per cent, like the aptly named ‘Yoga Gives Back,’ which helps poor women in India, or Newfoundland’s Fogo Island Inn, where every all profit goes back to its economically-challenged island community. A ‘Wellness Tourism 2.0’ will rise, the GWS predicts, with a development model that thinks beyond the property and moves to creating whole towns, regions and even nations with a comprehensive wellness vision. Low-cost wellness is most definitely a part of this democratisation and more affordable healthy supermarkets and spa chains will continue to burgeon.